Three ingredients. 100% guilt-free. Delivers on taste and texture. This was so good that I made it my breakfast this morning. A welcome variation to this earlier recipe. I went shopping over the weekend and picked up some fresh mint from an eye-catching fruit and veg store. I had no idea what I was going to do with it, but the nostalgic fragrance took me back to my short stay in Morocco back in 2012, and before I knew it, it was in my shopping basket. 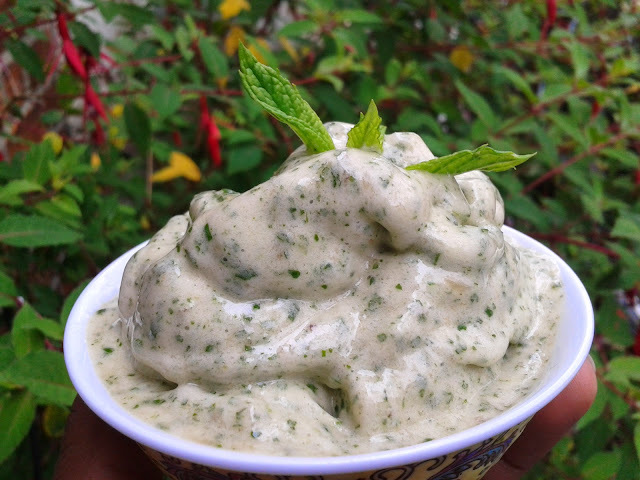 I have since made several mugs of refreshing mint tea, but this ice-cream right here is just... Well, you'll have to try it and see for yourself. Chop the bananas into small pieces and place in a plastic container. Squeeze on the juice of half a lemon (to stop the bananas from turning brown), cover and freeze for 2-3 hours. 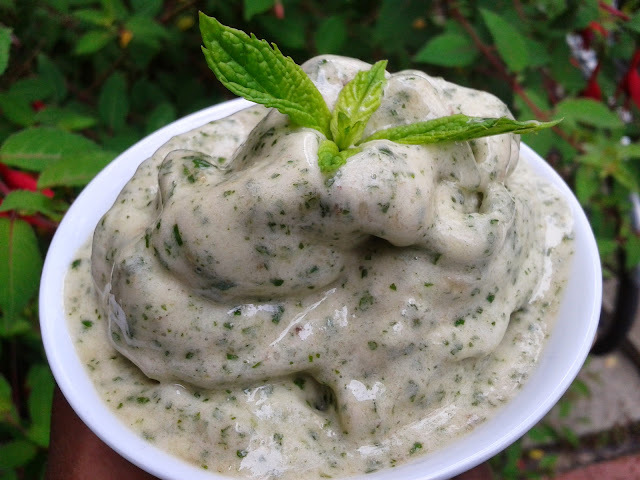 Place the frozen banana pieces and the mint leaves in a food processor. Blitz until you have a smooth, creamy consistency. 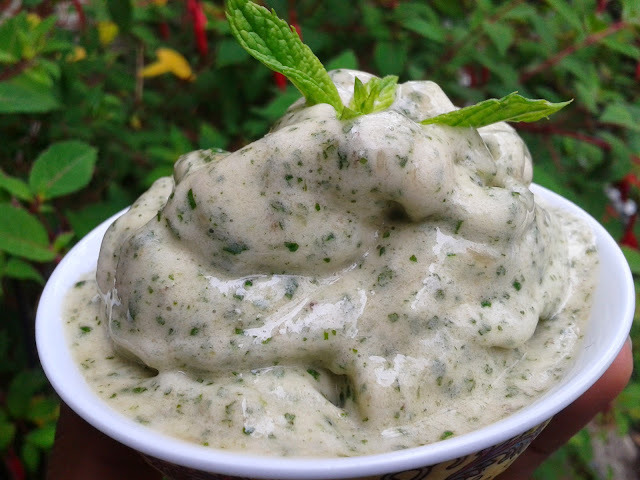 Serve immediately; it melts fast! That looks yummy! 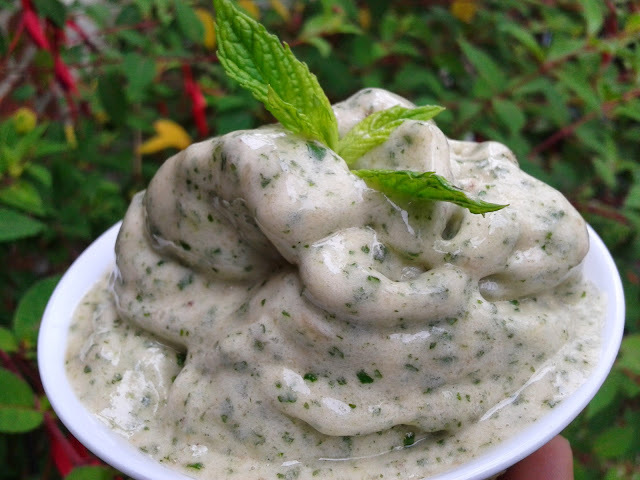 I love mint and frozen bananas together! Wishing you a fab week!